The Eastbourne and Lewes Walk Fest is brought to you by Eastbourne Borough and Lewes District Councils. The event is subsidised by generous donations and sponsorship from local organisations and participants. 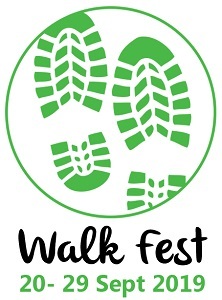 Your donation will go towards supporting this year’s Walk Fest and allow it to continue to provide walks and events aimed at getting people more active and social. Allowing individuals the opportunity to learn more about the outdoors and meet new friends along the way.